Kozmic Diary: Paris RollerGirls 2012-13 Season. Booked. Paris RollerGirls 2012-13 Season. Booked. 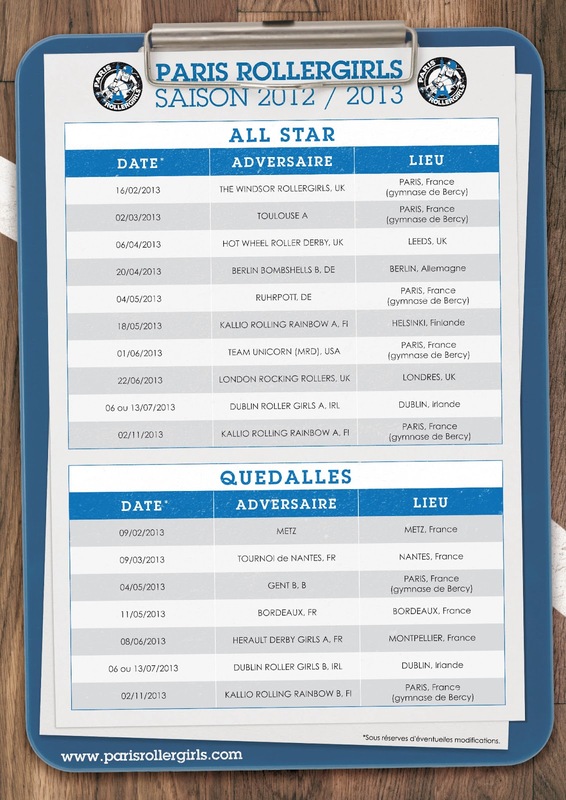 Here is the full calendar of the Paris RollerGirls' season, both for the All-Star (A) and the Quedalles (B) Teams!